Lord, help us all! Our son found a love for processed cheese, but I made this Real Cheese Queso Dip that he also fell in love with! 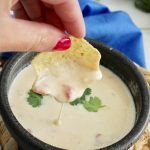 If you’re looking for a queso dip, but not the regular Velveeta cheese dip, this is one of my favorite easy appetizers for you! I have a problem … care to listen for a hot second? My son (he’s ten) … Well, he’s officially hooked on Velveeta Rotel dip… you know, the kind with literally two ingredients that you get the heeby jeebys when you wonder just how a food product can stay “good” for that long on the shelf or in the fridge? YES! It’s that one! 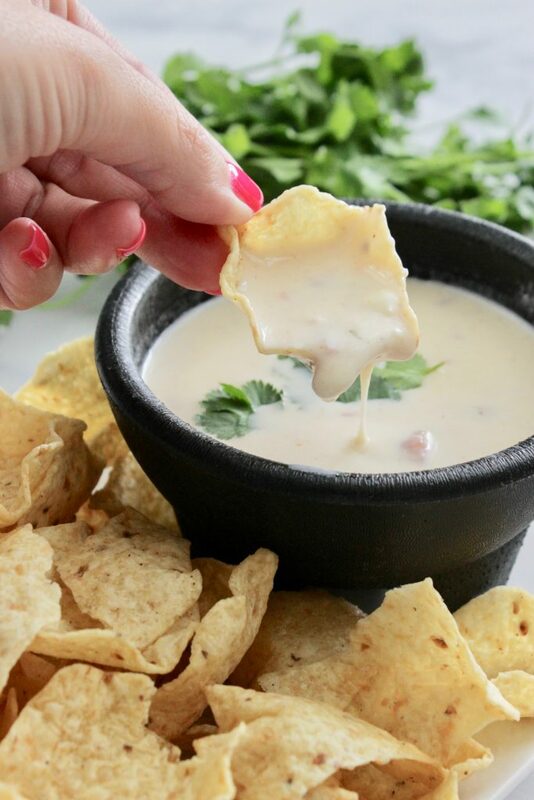 So, I set out to make the very best queso recipe that I could that contained real cheese – you know, a white queso with real cheese from the cheese counter. And, I did it! Push the Velveeta cheese dip to the side, folks, there’s a new favorite in town! 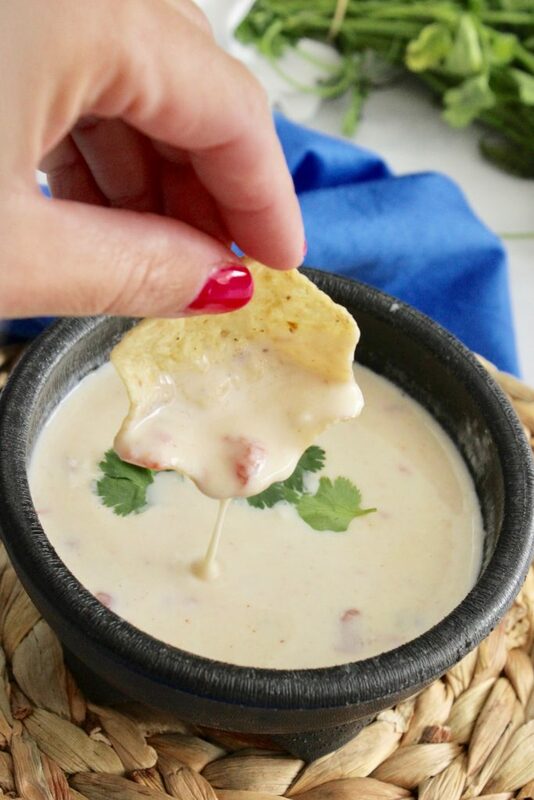 This real cheese queso dip is the real deal and it is a winner, winner chicken dinner in the Sorensen household and I am so excited to share the recipe with you! 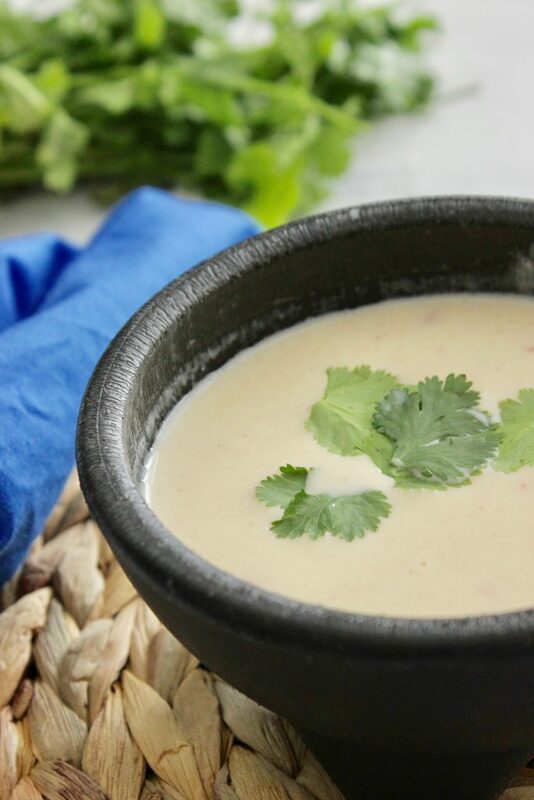 For starters, you can either cook this cheese dip in the crockpot or on the stovetop. If you decide to make this on the stovetop, you’ll definitely want to cook it very low and slow and keep an eye on it so it doesn’t burn. 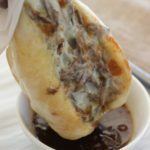 And, then after it’s all ooey-gooey and melted, then consider transferring it to a crock pot. 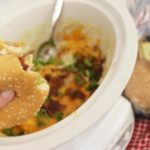 I love my 2 quart crock pot – it’s the perfect size for entertaining! 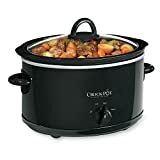 I have given this size of crockpot as gifts many a time as they’re also perfect for keeping taco meat warm for tacos, getting a small amount of pulled pork ready for dinner and more. Preparation tip: in a medium size saucepan, combine all ingredients and stir often while this is heating up. Then, transfer to a 2 quart crock pot once heated. Keep on warm to keep the dip “dipable” and enjoy! Hey! If you like this, you might also like these! American cheese? Like Kraft singles? It looks like a cut up block of white american cheese. Hi Heather, I get mine from the meat counter. I hope that helps. Nope! Use white cheddar block cheese. That’s what I’m using right now- not a fan of American cheese!! I use Land O Lakes white American melting cheese. It comes in a block and it tastes just like the Mexican restaurant. Just made some. Just three it out. You threw it out? Gosh. Expensive to throw out. White American Cheese by Land o lakes is at Walmart in the Deli area. So is the pepper jack. Ca’nt beat cream cheese, sour cream, Ro-Tel. What went wrong? Walmart also has Mexican melting cheese for queso that’s super good and easier than this recipe. It’s in square blocks, jalapeño and plain. Near the deli where cream cheese and pimento cheese is. Cut it up in double boiler, add 9 oz milk, Ro-Tel, stir and melt, awesome! Just wondering what state you live in. Each Walmart is different and in my store cream cheese and pimento cheese not near deli but in dairy area. White American cheese is white velveeta. That being said, I think the dip looks good. But it is still made with white processed cheese. White American cheese out of the deli is nothing like Velveeta. You must have gotten the wrong stuff before. How people can say that White American Cheese is not the same as velvetta is either mind boggling or ignorant. 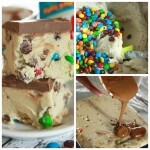 I made it this exactly as the recipe said and it was disgusting!! Gritty from the cream cheese I assume. How do I fix this? Otherwise I’m going to have throw it out as well. Waste of money! If the cream cheese made it “gritty” then you used too high of heat and it got boiled to some extent. 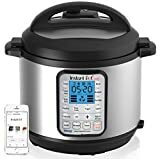 Use the lowest heat of the 2 qt. 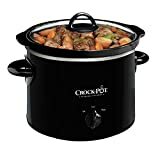 crock pot and follow the instructions on the recipe. I would never use a regular pan to do anything but heat the milk to where it barely steams, not bubble or boil. That can cause problems of this sort. Lol, the CHILI POWDER tainted the color? What? Did you find white rotel or something? LMAO!! This stuff is AWESOME!! I use two blocks pepperjack instead of one pepperjack n one American. Added hot rotel instead of original. It’s almost spicy enough. If it’s gritty you either used preshredded cheese or heated it too quickly. I’ve made this twice and it wasn’t gritty either time. Oh, and both times it was somewhat PINK not white. Did you know all cheese is white when it is done. I love this dip and you must of not made it right. I did not put any of the spices in it. but did and bell peppers and mushrooms. Yum First I saute the bell peppers and mushrooms. Not for me. I live in Southeast Texas so salsa and queso are pretty much my life. I use cream cheese and sour cream in a lot of things but IMO they don’t belong in queso. 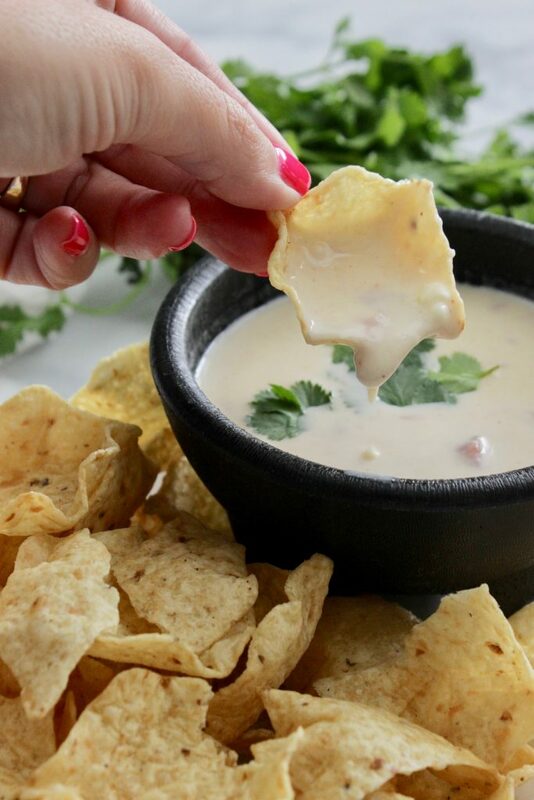 The cream cheese left a gritty feel and queso should be smooth. Great ingredients by themselves just not so much together. Pepper jack and American are cheese food products also. Your right you can’t heat cheese too fast. Cream cheese wouldn’t make it gritty. Mexican melting cheese would be good in this. I laughed when someone stated that white American cheese is like Velveeta . You’ve version would be way too Spicy for me . But it sounds yummy. Have you ever looked at the ingredients of american cheese, all chemicals just like velveeta. Might just as well let him eat velveeta. American cheese is processed cheese. Just like velveeta. Was terrible will never make again. Left on low , stirred every 15 minutes,. Still had cream cheese chunks. Put in blender to smooth out the dip. Dip was plain missing something. What is Mexican melting cheese? Is that what the resterants use for their queso? Terrible recipe as I was making it for a housewarming party! Well, it warmed up my trash can. Do not make this! We’re big fans of cream cheese, so maybe that’s why I like the creaminess of it? Not sure. 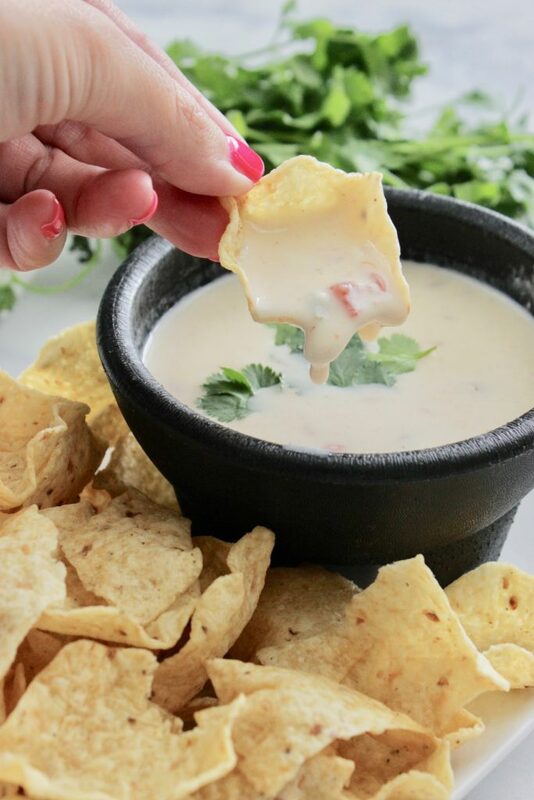 We loved this dip. I doubled it and it was a real hit. Got the cheese from the Deli counter. I added breakfast pork sausage. Awesome! 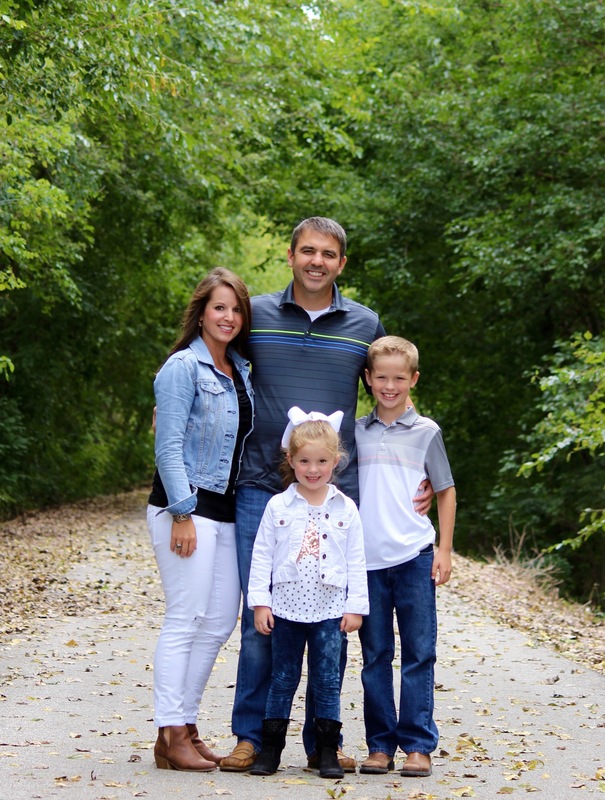 Please help me!! I made this recipe tonight and it has a delicious flavor; however, the cheeses and/or sauce want to separate. What could I possibly have done wrong while making it??? The cheeses are in the recipe, but off the top of my head, I get pepperjack and American from the butcher counter. I am from Canada isn’t American cheese processed? For that reason I would not make it. All cheese is processed in some way. Heating, curdling, aging…are all processes. And all cheeses are man-made..it is not a natural substance. I fixed this for a pre-4th pool party. OMG! You would have thought I had brought everyone $1M tax free dollars! No kidding. I doubled the recipe. I couldn’t figure out what “white American cheese” was, so I used Colby. Because of the way it’s packaged, I used 3 blocks of Colby to 2 blocks of PepperJack. It was a good thing I doubled the recipe, because even with all the ribs, sausage and brisket, THIS was the hit of the party. No more of the yellow stuff for me! Thank you. There is a ‘real’ cheese that is ‘American.’ Not processed cheese food, like Velveeta. It comes in white or yellow, like many cheeses. 😂😂😂😂 There is no such thing as real cheese that is American! American is processed cheese. Read the ingredient label. I have been making a similar recipe for years. I use white American from the deli (at any grocery store with a deli) pepper jack milk and sour cream. Never tried the cream cheese in it. Add jalapenos or which ever spicy stuff you like. I have done this for years since a “friend” working in an authentic Mexican restaurant told me the main cheese they use is white American. Can also use chipotle and adobe sauce marinated beef as a add in. Always turns out wonderful. Yum1 You’re making me want to make this again STAT Dawn! Thanks for stopping by! There are other white cheeses you can substitute for the American if you want. Look at the ingredients in a pre-grated mixed cheese, sometimes marked Mexican cheese in Texas at least. Looking forward to making this for many occasions . Thank you. 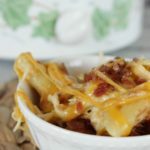 I clicked on this recipe because it said that it was made with real cheese. Pepper jack cheese yes, American cheese is not real cheese people! if you actually read the label you will see it is a “cheese like” product. There’s no difference between white American cheese and yellow, it’s just artificial food coloring. Either way it’s still fake cheese and highly processed! No thank you, I will be skipping this recipe. I made this exactly as above, flavor was great but it was so grainy…what’s the fix for this??? Hi April, I know people have added more cream cheese – we loved as is, but that might help? Mine seems to be runny… is there a way to thicken it up? We loved this recipe. Had no problem with grittiness. Only change was left out chili powder but might try adding it next time. Some of the reviews were bad, but we really liked it. Ok…not what I was hoping for. Not a lot of flavor. Mine was gritty and I cooked it slowly so I don’t know what happened. Wish it had more flavor. This queso is delicious 😋 I didn’t measure seasonings but probably used more than recipe, yum yum yum. Was a hit at work. You went to an awful lot of trouble to make Vellveta when you could buy it. Americain cheese is real cheese and milk. The only thing that’s not are dollar store slices that won’t say cheese anywhere on the label. Technically that’s vegan cheese(made from vegtable oil). All American cheeses contain emulsifiers, simple salts that help it stay creamy. The ones that say food or product have less fat and moisture but they are all have real cheese as there main ingredient. I made this and the only change I made is that I used monteray jack cheese (didn’t have any american) I live in Minnesota and we had a snow/ice storm in April so couldn’t go to store. Anyway, mine too ended up “gritty”. Had a good flavor but the couldn’t get over the texture so I added some ingredients and turned it into a CHICKEN TORTILLA SOUP and that turned out AMAZING. I guess sometimes mistakes turn into a new GREAT invention.